I've been removing books from my Kindle that I probably won't reread and leaving those that I enjoyed enough to read again. The Rosie Project gets to stay. It's a fascinating look inside the mind of a man who has Asperger syndrome (an autism spectrum disorder), told with humor, warmth, and great insight as he searches for a wife. 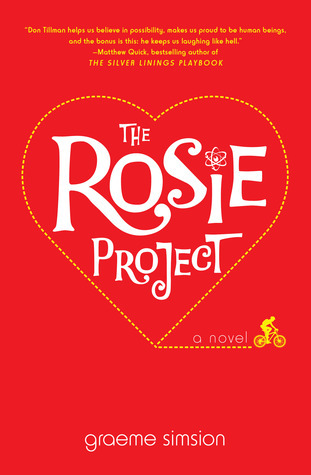 If you like Sheldon Cooper from "The Big Bang Theory" (but with more heart), you'll like Don Tillman from The Rosie Project even more. The sequence was initiated by Gene's insisting I give a lecture on Asperger's syndrome that he had previously agreed to deliver himself. The timing was extremely annoying. 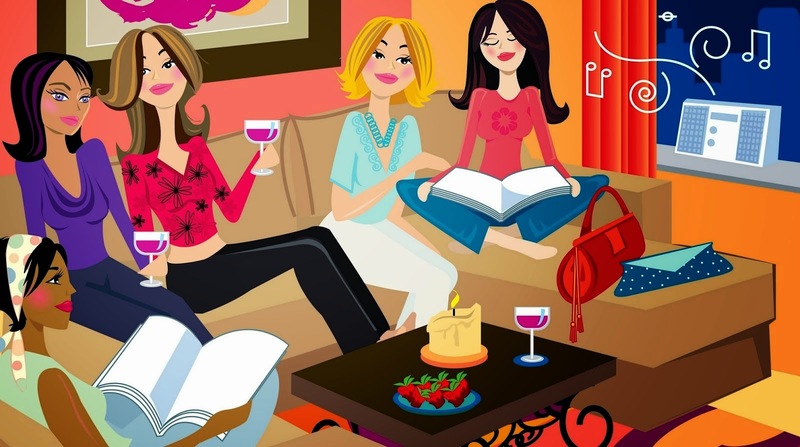 The preparation could be time-shared with lunch consumption, but on the designated evening I had scheduled ninety-four minutes to clean my bathroom. I was faced with a choice of three options, none of them satisfactory. A questionnaire! Such an obvious solution. A purpose-built, scientifically valid instrument incorporating current best practice to filter out the time wasters, the disorganized, the ice-cream discriminators, the visual-harrassment complainers, the crystal gazers, the horoscope readers, the fashion obsessives, the religious fanatics, the vegans, the sports watchers, the creationists, the smokers, the scientifically illiterate, the homeopaths, leaving, ideally, the perfect partner or, realistically, a manageable short list of candidates. A grapevine as art. The sign is enlarged below. The tasting room was empty! I'm looking forward to returning to the Columbia Winery in three months to pick up the next batch of wine releases. We'll try to choose a sunny day when flowers fill the beds. Until then, I guess we'll have to make our own sunshine and drink the wine we just picked up! 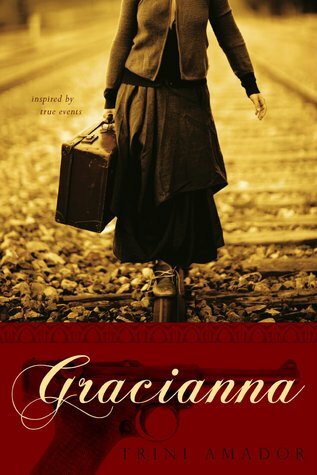 I have barely started reading Gracianna by Trini Amador, but I think I'm going to enjoy this story. It takes place in Paris in the early 1940s as the Germans are occupying France. Odds are I was the only four-year-old to have ever freely fumbled a loaded German Luger. I was barely able to lift it. How could I know it was a real gun? The Friday 56 (from 56% on my Kindle). I haven't reached this point in the story. He could never tell Gracianna how badly she had been beaten.Just like that, Constance was going to be "s'en va [going away]," the term used for the many who were sent to the camps. Congratulations, Suzie Quint! 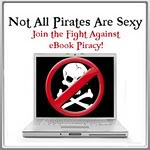 You're the winner of an ebook copy of Devious by Mark Love. Who's really behind the shooting of Officer Kleinschmidt? Author Jamie Richmond, riding along in the patrol car as an observer when "Smitty" is shot, is determined to find out. 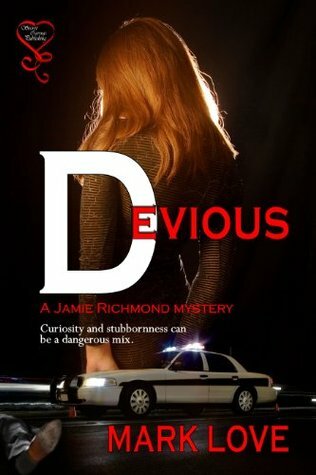 If you like mysteries with strong female characters, humor and romance, then you'll enjoy Devious by Mark Love as much as I did. What's your favorite romantic movie made after 1980? I can't believe I'm standing here with a gun in my hand. And it's pointed at his chest. My heart's pounding in such a pronounced manner you would think I just ran five miles. But there's anger mixed with the adrenalin coursing through my system. As I parked beside the gate, the meanest dog I've ever seen greeted me. It was one part Doberman, one part German shepherd, ten parts ugly. In case the dog was as smart as he was ugly, I locked my door and stayed inside. Jamie Richmond, reporter turned author, is doing research for her next book. Attempting to capture the realism of a police officer’s duties while on patrol, she manages to tag along for a shift with a state police trooper. A few traffic stops and a high speed chase later, Jamie’s ride takes an unexpected turn when she witnesses the trooper being shot. Although it is not a fatal injury, Jamie becomes obsessed with unraveling the facts behind this violent act. While she is trying to sort out this puzzle, she becomes romantically involved with Malone, another trooper with a few mysteries of his own. Now Jamie’s attention is divided between a blooming romance and solving the crime which is haunting her. Jamie begins to question the events that took place and exactly who could be behind the shooting. It was a devious mind. But who? 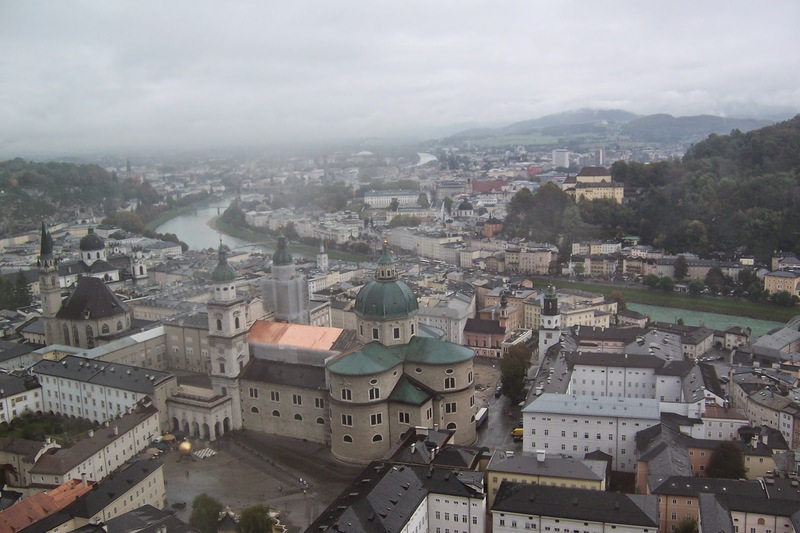 Diane Sawyer's recent TV special "The Untold Story of the Sound of Music" reminded me of the Sound of Music tour my daughter-in-law and I took when we visited Salzburg. Yes, it was schmaltzy (our husbands declined to participate), but what a great time we had! So I searched through my photos from 2007 and pasted some of them below. It's hard for me to believe that movie was made FIFTY years ago! 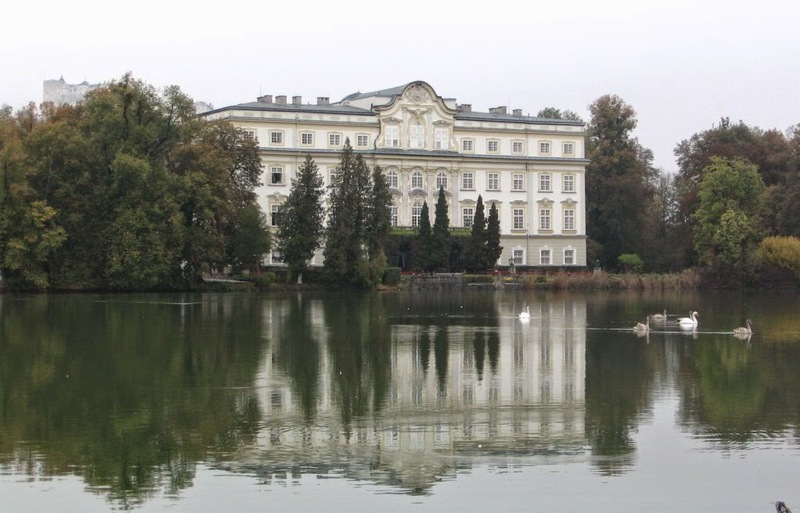 In one scene the children fell into Leopoldskron Lake while canoeing. The Snow Child is one of the most fascinating books I've read in a long time. The author enthralled me with her descriptions of the hardships of homesteading in Alaska in the 1920s and had me wondering if one of the characters was actually real or if she existed only in the imagination of the husband and wife who lived in the wilderness. I really could not put this book down! 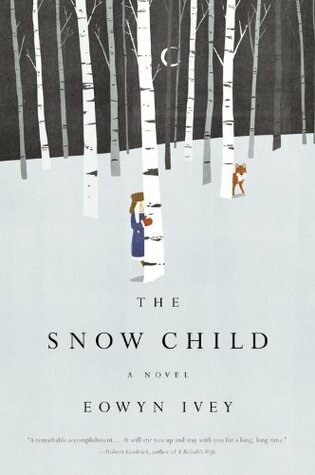 The Snow Child was a Pulitzer Prize finalist for fiction in 2013, was given the 2013 Indies Choice Award for debut fiction, and received numerous other awards. In my opinion, all of them were richly deserved. Readers who enjoy adventure, history, and magical realism or who just like a good story will definitely enjoy this book. As it made its way beneath her clothes, along the skin of her ribs, down the curve of her spine, she knew it for what it was--a death chill, a chill that if allowed to take hold would freeze the life from her. As if to confirm her suspicions, her teeth began to chatter. 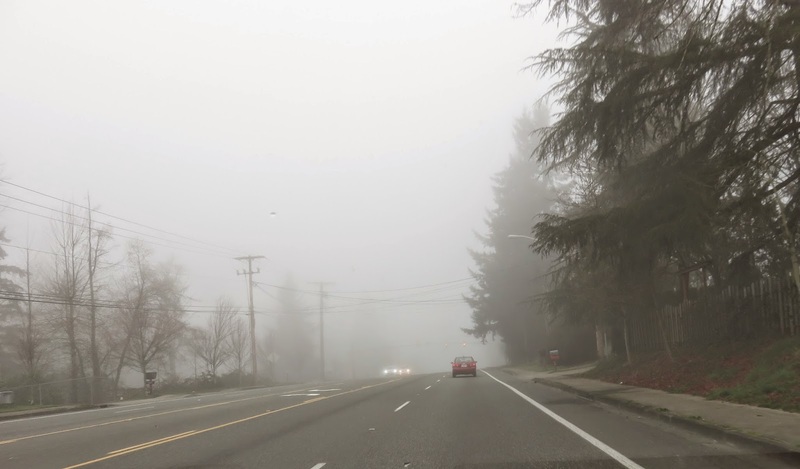 Here in the Pacific Northwest, we've had some foggy days recently. Seems to me this usually happens during the transition between seasons - easing out of winter into springtime. NOT fun to drive in, but this last batch wasn't too bad. 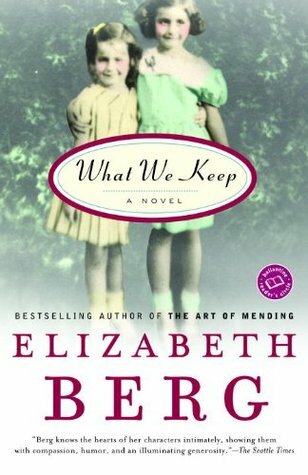 What We Keep is the touching story of two sisters, beginning at ages twelve and thirteen, told in flashbacks. As an adult, Ginny (the younger sister) travels across the country for a reunion with her mother whom she has not seen for thirty-five years. The story of the two sisters' childhood is revealed in Ginny's memories during her journey. The author shows amazing insight into the way children think and react to changes in their lives. I enjoyed her sense of humor, characters, and description. This is a book I will read again. The Friday 56 - From page 56 in my paperback. Here's what Ginny thinks about her ballet lessons. Though I enjoyed looking at ballerinas, I hated studying ballet. It was the crowns the ballerinas wore that I lusted after, the ride in the elaborately decorated sleigh I saw when we watched The Nutcracker on television. I had no desire to train my body to do difficult things requiring grace and precision. Ginny Young is on a plane, en route to see her mother, whom she hasn't seen or spoken to for thirty-five years. 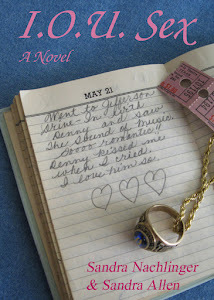 She thinks back to the summer of 1958, when she and her sister, Sharla, were young girls. 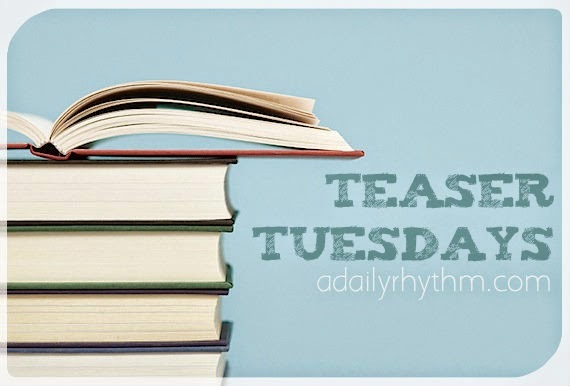 At that time, a series of dramatic events--beginning with the arrival of a mysterious and sensual next-door neighbor--divided the family, separating the sisters from their mother. Moving back and forth in time between the girl she once was and the woman she's become, Ginny at last confronts painful choices that occur in almost any woman's life, and learns surprising truths about the people she thought she knew best. Emotional honesty and a true understanding of people and relationships are combined in this moving and deeply satisfying new book by the novelist who "writes with humor and a big heart about resilience, love and hope. And the transcendence that redeems" (Andre Dubus). "From the Hardcover edition." Pear tart, anyone? That's apricot glaze on top. Onion pizza with black olives and anchovies. The results of a truffle making class. Currently he's working his way through the "Breads, Sandwiches, and Pizzas" chapter of Jacques Pépin's Essential Pépin. Are elastic-waist jeans in my future? 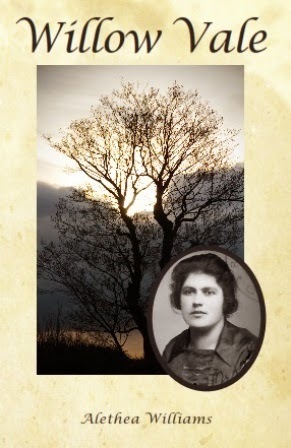 In Willow Vale, Alethea Williams tells a fascinating story of two people whose lives have been torn apart by The Great War. 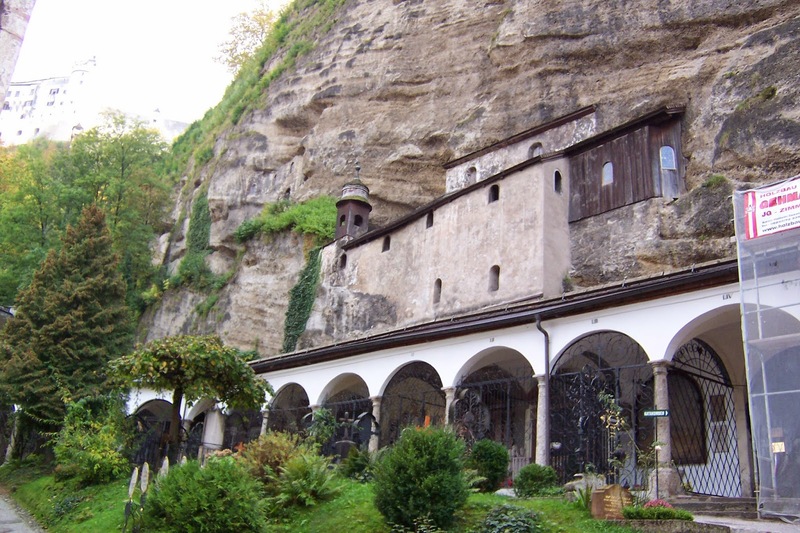 Francesca Sittoni's first husband dies, and she is forced into marriage to an abusive man who takes her and her daughter away from their small Tyrolean town to the United States. After her second husband's death in a mining accident, Francesca answers a newspaper ad to work as a housekeeper for Wyoming rancher Kent Reed. The war has damaged Kent Reed, both physically and emotionally. 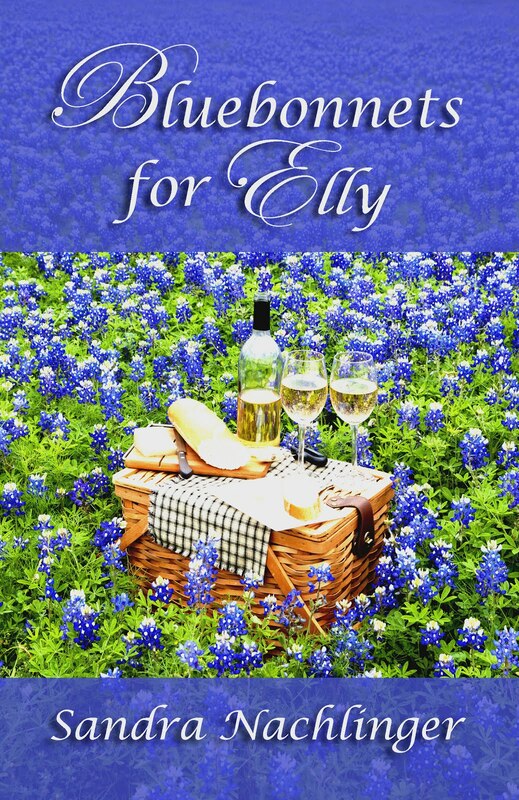 Through beautiful description and with believable character development, this book tells the story of how both Francesca and Kent overcome their hardships. It is obvious that the author has done her homework in her portrayal of life in rural Wyoming during this era. She has created a book that I enjoyed from beginning to end. Faces wet with tears, Francesca Sittoni and her mother clung to each other one final time. Her mother's bones felt as thin and fragile as those of a bird. With little enough to eat for any of them, Francesca knew her mother had been giving much of her own meager portion to her daughter and to her granddaughter, Elena, to build them up for the trip. The more Francesca thought about it, the more she pitied Kent Reed--and herself. She could see no happy ending for the two of them, and it made her sad to chop down the seedling of hope Agnes had planted before it had a chance to take root. But it was better so, that she destroy false hope, for her own sake and Elena's too. In this inspiring novel of hope, from opposite sides of an ocean two people wounded by the Great War are fated to meet and try to rebuild their lives. 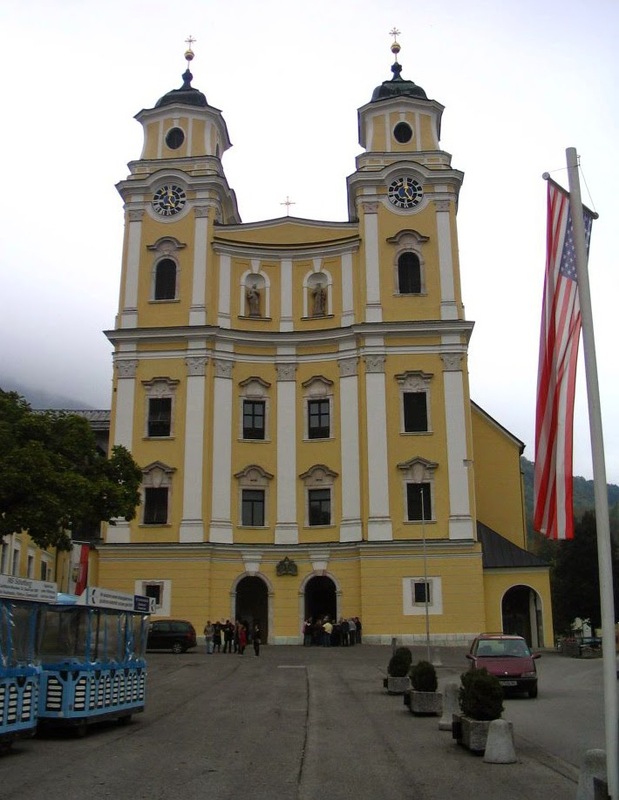 Francesca Sittoni was brought against her will to America by the husband she never loved. 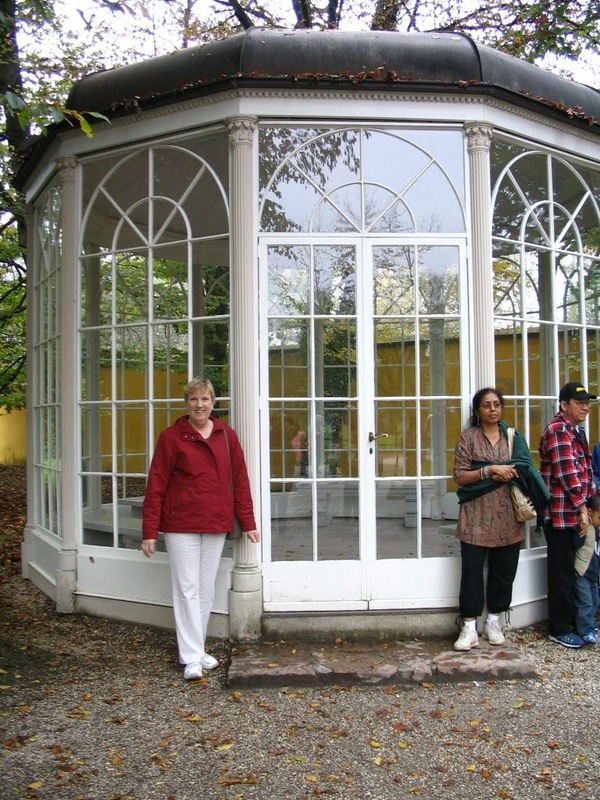 Now she finds herself alone-widowed, pregnant, and with a small daughter to support. Terrified of being deported back to the Tyrol valley of her birth in the Dolomite Alps of Italy, Francesca answers an ad placed by Wyoming rancher and former dough boy Kent Reed. As their contracted year together passes, Francesca begins to ask if she is cook and housekeeper to Kent...or a secretly sought mail-order bride as the meddling neighbors insist? Only Kent Reed, burned by mustard gas and his spoiled former wife's desertion, knows his heart's true desire when it comes to the beautiful Tyrolean woman now living in the uncomfortably close quarters of his small ranch house. Sharon Wildwind of Story Circle Book reviews says, "This book is not only a fine read in itself, but it also could be a springboard to read with older teen-agers as an introduction to discussing what real love and real maturity mean. A lovely, hopeful story." 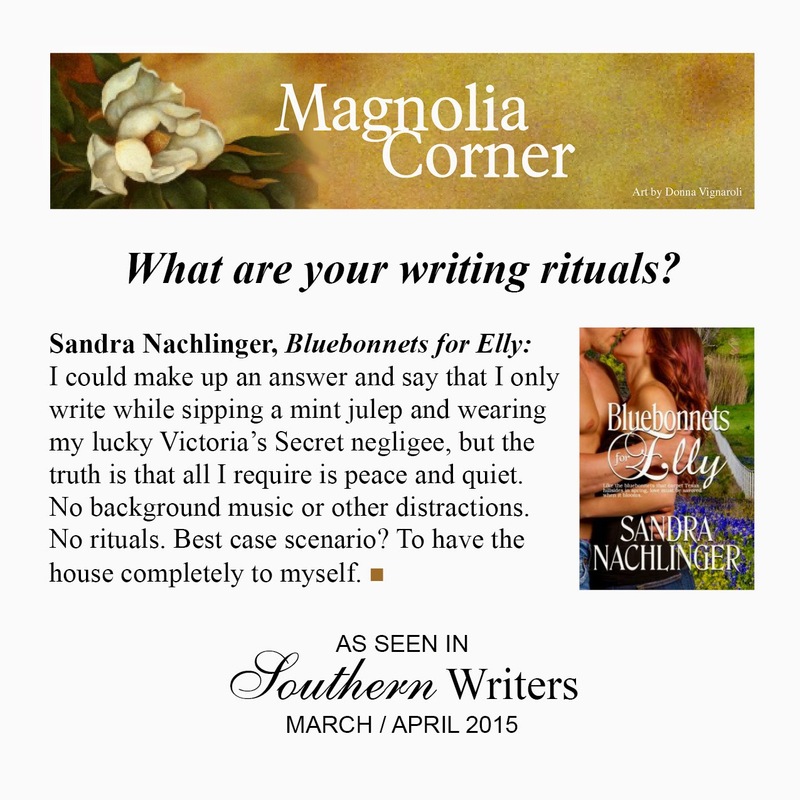 What do other authors have to say about their writing rituals?